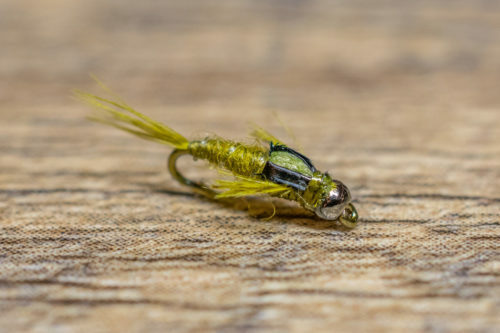 Randy Smith’s execution of a tiny Baetis nymph is lights out. Randy’s Baetis is a mixture of olive-brown Beaver dubbing, wood duck, and a Tyvek strip. 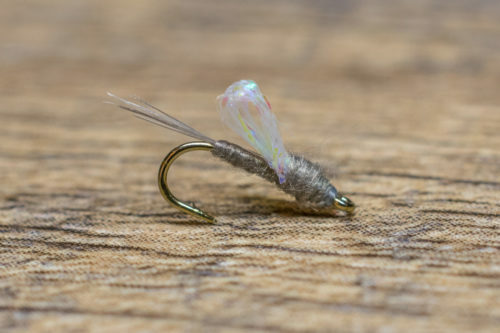 This sleek Baetis nymph is the perfect guide fly, it is easy to tie, realistic, durable and consistently fools selective trout. 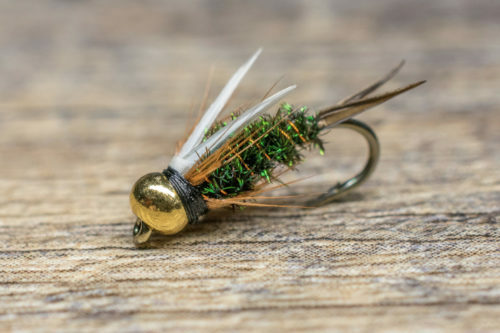 This fly is an excellent choice on western tailwaters but will consistently fool hard-fished trout on just about any tailwater, spring creek or freestone throughout the United States. Dusk and dawn are two perfect times to tie on Randy’s Baetis nymph. The light is low and typically you will find the nymphs moving around the bottom to feed or relocate. When there is no evident hatch, fish Randy’s Baetis with a lot of weight in the deeper slots and runs. 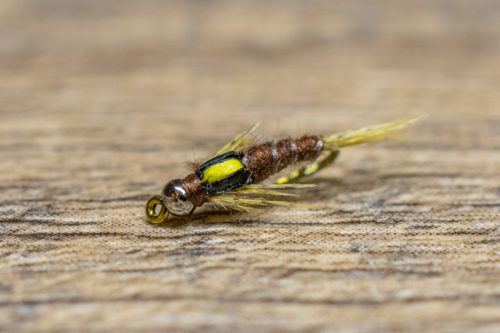 When the trout become fully engaged on Baetis nymphs you must have the right size, shape and color mayfly nymph because they will ignore any other offering. 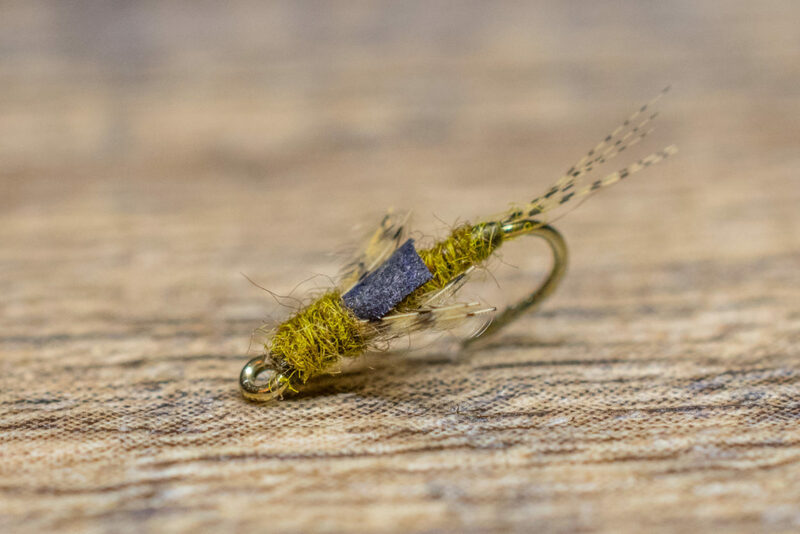 At this point, it is time to switch to two Baetis nymphs to increase your odds; other effective patterns are Mercury Flashback Pheasant Tails, Sparkle Wing RS2, Jujubaetis, Stalcup’s Baetis and Foam Wing Emergers.